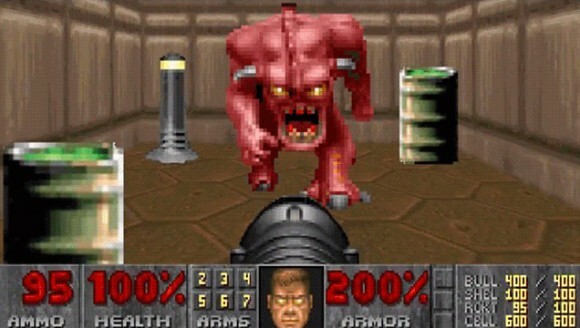 Doom is one of the original 1st person shooters that introduced us to this style of game play. This was a PC title at first in 1993 but it made its way to the Super Nintendo and the Sega 32X in the mid 90’s. Your playable character is not given a name, so over the years he has been given the designation “Doomguy”. Space Marine Doomguy is sent to the Mars outpost after he hit his commanding officer. The Mars assignment is considered to be the worst job because it is boring and nothing ever happens. The Union Aerospace Corporation (UAC) is conduction secret teleportation experiments on Phaobos and Deimos, two moons close to Mars. Suddenly things go wrong and demons start to poor out of one of the portals created by the teleportation device and start taking over the bodies of the UAC personnel and the space marines. Doomguy who was left behind to guard the ship is stuck. He cannot pilot the ship alone and escape the moon Phobos so he has choice but to fight his way through the complex and close the portal on the other end on the Deimos moon before they break free and attack Earth. This early original version of Doom works so well even today. 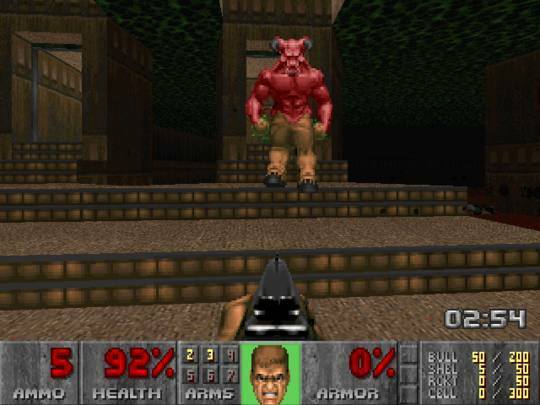 Many believe that the first Doom is still “The FPS” not just a FPS. The weapon choices are off the chart in their variety and uniqueness and all of the different creatures form hell with no purpose but to destroy were done so well from the start they still work perfectly today. Doom takes between 5 and 7 hours to complete and it has a very high relay value. It is hard to put the game down but there is a save at any time feature. Whenever you get stuck or want to try to make a jump and you are not sure if you can make it, SAVE, SAVE, SAVE. There are also spots where you fall down a pit and get stuck and have to restart the level, this is another reason to save often. If you die you start back at the beginning of the level with only your side arm as a weapon. But if you save your game you get to load that game and start at that point. Still great and if you had this game on your SNES, Sega 32X or the PC, you will enjoy rediscovering the game. If you have never played the original Doom you will love it too. 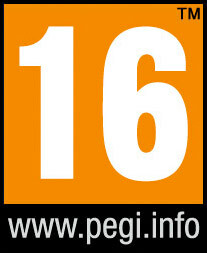 Worth the $5 but sales do happen for cheaper price, so keep looking it is still worth playing even today.